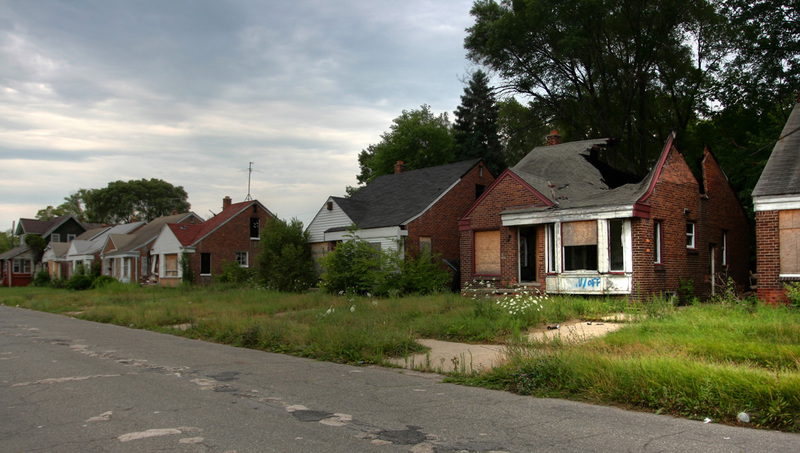 Detroit has over 10,000 vacant homes. The combination of prevalent abandonments and rampant arson has led the city to purchase entire blocks and raze them. An eerie landscape of urban infrastructure dividing overgrown meadows is all the remains in some neighborhoods. 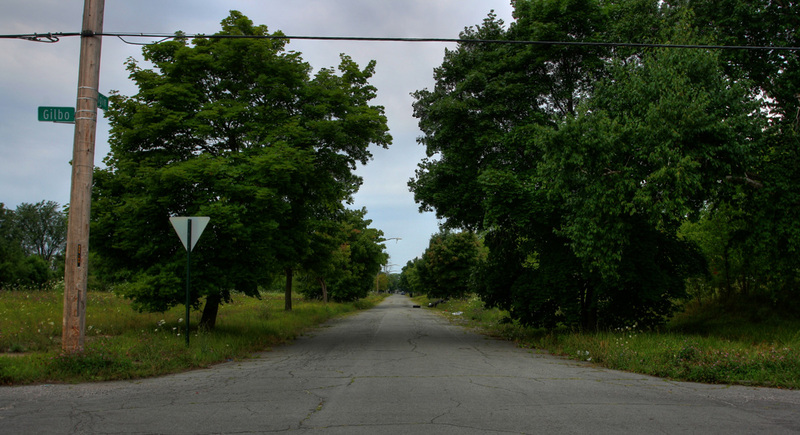 The following photos were taken in various neighborhoods in Detroit. 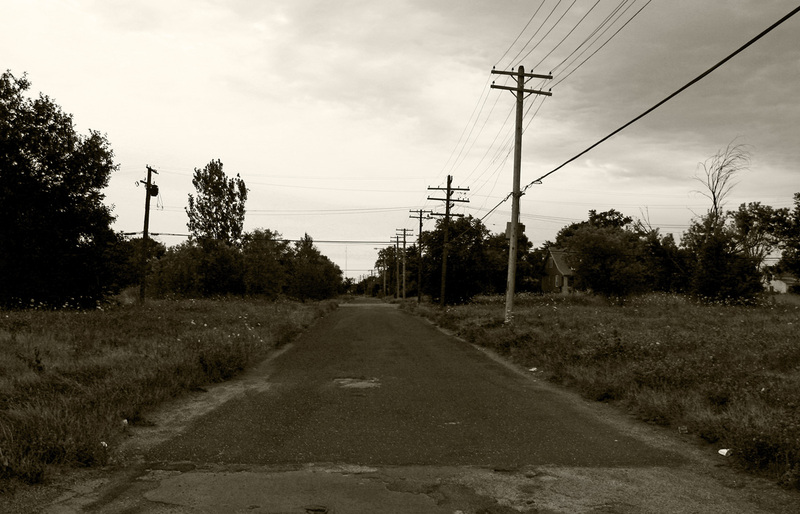 A blighted neighborhood, almost completely demolished. This corner of Gilbo Avenue was once a community, and is now virtually an "urban meadow." 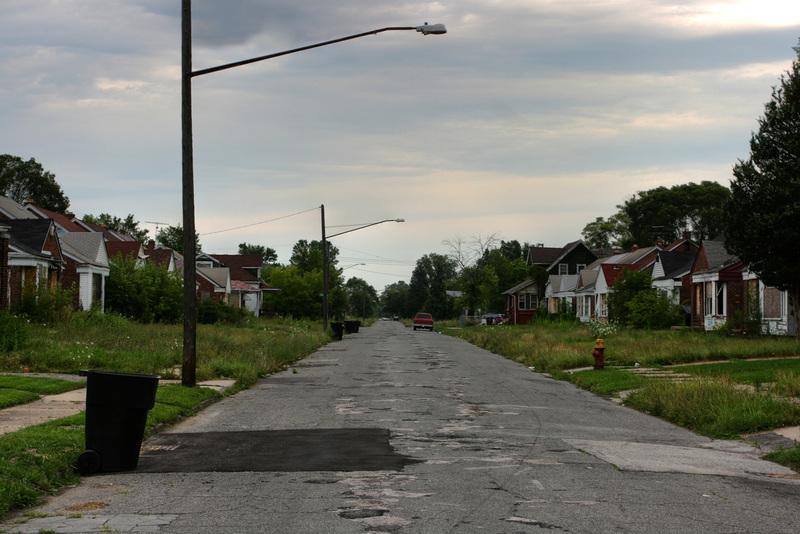 The homes on this street await a fate of either arson or demolition. A few homes (with cut grass and garbage cans) are still occupied here. 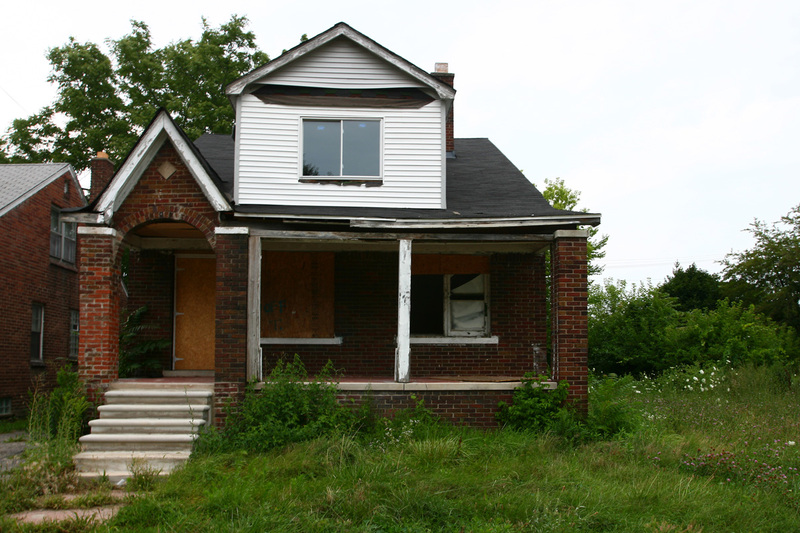 One of what is estimated to be over 10,000 abandoned homes in Detroit.